Each log cabin comes with a tongue & groove roof and floor, joinery doors & windows with real glass, lock and key. 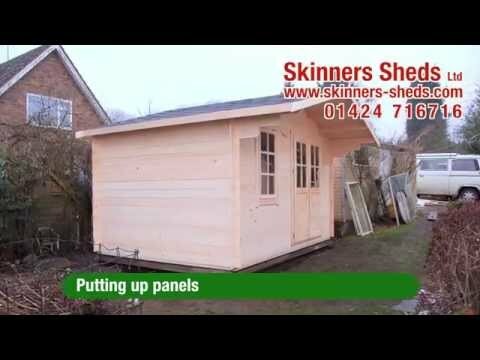 All log cabins coming with free delivery to Kent, Sussex, Essex, London and Hampshire. If you would like a log cabin assembled, have peace of mind that our expert team have many years of experience. A perfect base is required for these log cabins as all walls are computer cut. There is very little tolerance. The buildings must be treated and sealed to prevent water penetration as soon as possible. Browse our log cabins for a range of garden and residential log cabins.